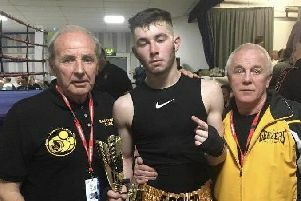 Boston Town ABC’s Gab Marcinkevicius was in action at the weekend in Grantham at the schoolboys’s National Championships, competing in the East Midlands round. 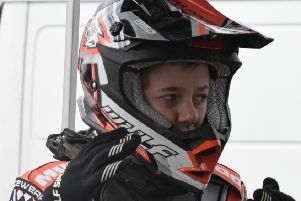 He came up against a more experienced and talented Josh Hutchinson from City of Leicester. The bout was an equally-matched contest with both boxers having their share of success with their combinations and defence and matching footwork. Throughout all three rounds Gab (pictured) worked on the back foot, working the angles and countering the Leicester boxer’s punches to perfection. However, despite Gab’s good countering skills, it was hard to pick a clear winner from each round due to Josh also showing a good display of boxing skills. After a close-fought contest the split decision went to Hutchinson, who now progresses onto the next round.